Twelve months of the year, Special Olympics provides opportunities for people to come together and share aspirations, courage and compassion. Every gift to Special Olympics creates a new hero who inspires hope in others. Your gift can help make that happen in your community. Even the smallest gift can make a difference. Why not make a difference today? For more information please contact our Donors Relations Co-ordinator at 1-888-333-5515 ext. 229. As a tax payer, you can claim up to 75 per cent of your net income as donation, except the year before or the year of your death when 100 per cent can be claimed. You may also claim up to 100 per cent of your net income when you donate certified cultural property or ecologically-sensitive land. The first $200 you donate is eligible for a federal tax credit of 15 per cent of the donation amount. Any amount over $200 is eligible for a 29 per cent tax credit, to a maximum of 75 per cent of your net income. If you want to claim them against your income for the current year, donations must be made by December 31st. However, you do not have to claim all of the donations you make during the calendar year on your current year return. Any donations that you do not claim can be carried forward to claim on your return for any of the next five years (a carry forward). When you claim a carry forward, you should attach a note to your return that includes the following: the year of the return with which you submitted the receipt; the portion of the eligible amount you are claiming that year and the amount (if any) you are carrying forward. Keep in mind that you have to claim tax credits for gifts that you carried forward from a previous year before you claim tax credits for gifts in the current year. You can find more information about qualified donations. 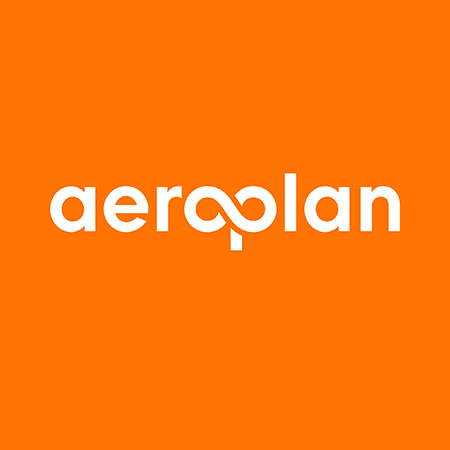 Donate your Aeroplan miles to help us reduce travel costs and other expenses. Donate your vehicle to Special Olympics Ontario through Donate A Car Canada. You can make a difference by planning a gift to Special Olympics Ontario. There are so many ways to support Special Olympics Ontario, including donating your Aeroplan miles. We can put donated miles to good use by helping to reduce travel costs and/or obtain items, such as flat screen TVs and gift certificates, for our fundraising efforts. Donating your Aeroplan miles is a quick and easy way to support Special Olympics Ontario. Donate A Car Canada accepts Vehicle Donations for Special Olympics Ontario. We provide free towing in many areas across Canada, or you can drop off your vehicle to maximize your donation. When you Donate your RV, boat, motorcycle or other vehicle to Special Olympics Ontario through Donate A Car Canada, it will either be recycled or sold at auction depending on its condition, age and location. 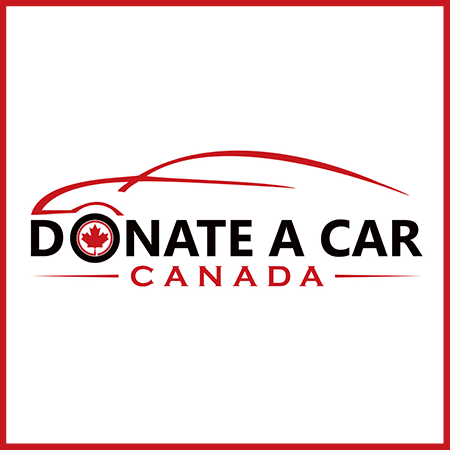 Donate A Car Canada will look after all the details to make it easy for your Charity to benefit. After your Vehicle Donation is complete, Special Olympics Ontario will send you a tax receipt within 45 days! Click here to donate your car online. Make a gift to Special Olympics through your Will. Use an unneeded policy or create a new policy to make a donation. Support multiple charities and avoid the complications of private foundation. Make a substantial gift to Special Olympics Ontario through a transfer of residential, commercial, or undeveloped real estate or a gift of jewellery or art. A charitable investment fund, where a donation is permanently invested and the income supports Special Olympics Ontario each year. Make a gift to Special Olympics Ontario by changing the beneficiary information on your RRSP or RRIF. Donate appreciated stocks, bonds, mutual funds, flow through shares or stock options and take advantage of the best tax benefits. A charitable gift annuity allows you to make a gift to support Special Olympics Ontario today while assuring you fixed income for life. A life income gift that enables you to give today (with immediate tax savings) while retaining use of the asset. The most commonly planned gift, a charitable bequest, is a donation made through your Will. An option is to leave Special Olympics Ontario a specific piece of property: a pre-determined sum of money or a percentage of your estate. Planned today, a bequest benefits Special Olympics Ontario after your death. By carefully planning your bequest, you can eliminate significant taxes payable upon your death. Your estate may claim gifts in the year of death equal to 100 percent of your net income in that year and the year preceding death. For more information on how you can build your legacy and suggested bequest language, please contact Special Olympics Ontario at 1-888-333-5515 ext. 229. Your retirement funds are amongst the most heavily taxed assets you own. When Special Olympics Ontario is designated as a direct beneficiary of a registered retirement savings plan (RRSP) or registered retirement income fund (RRIF), these taxes are offset at the time of death. Your gift will be treated as a charitable donation in the year of death. Special Olympics Ontario will issue a tax receipt for the full amount being transferred to it. The gift is simple to make. You name Special Olympics Ontario as a direct beneficiary on the plan document and advise the institution holding your retirement account of the change. A gift of life insurance builds our long term financial strength without diminishing your own. A small commitment can provide significant benefits for Special Olympics Ontario. Donate a paid-up life insurance policy by naming Special Olympics Ontario the owner and beneficiary of your policy. You will receive an immediate tax receipt for the cash surrender value of the policy. Gift an existing policy on which premiums are still being paid by transferring ownership to Special Olympics Ontario. Receive tax receipts for all future premium payments. Make a gift by purchasing a new policy on your life, naming Special Olympics Ontario as the owner and beneficiary. Receive tax receipts for all future premium payments. Choose to retain ownership of your policy and name Special Olympics Ontario as the direct beneficiary. Upon your passing, your estate will receive a tax receipt for the value of the policy. Thanks to the Federal Budget of May 2006, you no longer pay capital gains tax when you gift appreciated securities to Special Olympics Ontario. When individuals sell an appreciated stock, mutual fund or flow through shares, they are required to pay tax on 50 percent of the capital gain. However, if they donate the securities to charity, they pay no capital gains tax. This makes appreciated stock a cost effective way to donate to Special Olympics. A donor advised fund is similar to creating your own ‘private foundation’ but without costs and administrative burdens. A portion of the annual disbursement from the fund will support Special Olympics. The remaining amount can be directed to another charity. This is an opportunity for donors at a minimum commitment of $50,000 ($10,000 x 5 years) to retain control, flexibility and involvement with their giving. Simultaneously, they ensure a legacy of philanthropy long into the future. When you establish your fund, you will receive a tax receipt for your initial donation and all subsequent contributions. If you use appreciated securities to establish your fund, you will also be exempt from paying capital gains tax. Give: Make a contribution and name your fund (e.g. The Smith Family Fund). Grow: Special Olympics Ontario’s professional asset managers invest the fund and provide an annual statement of earned income available to grant. Grant: Recommend grants to Special Olympics and other charities.  A charitable gift annuity allows you to make a significant gift to Special Olympics Ontario while simultaneously receiving a guaranteed, pre – determined annuity payment. A charitable gift annuity may be beneficial if you are a conservative investor 65 years of age or older. They represent safe investments that offer significantly higher returns through Guaranteed Investment Certificates (GICs). An annuity consists of two parts: a gift to Special Olympics Ontario, which you will receive a tax receipt and a guaranteed stream of income for you and your surviving partner, either for life or a specified number of years. A minimum of $10,000 is transferred to Special Olympics Ontario which is divided into two parts. 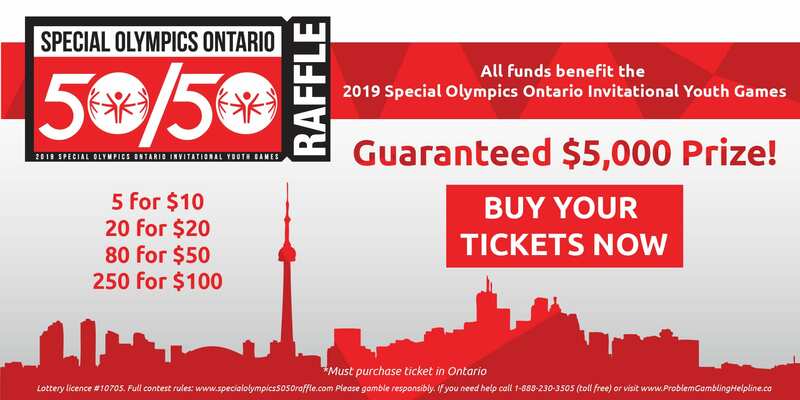 At least 20 per cent is counted as an immediate donation to Special Olympics Ontario, which you receive a charitable tax receipt. The remainder is used to purchase an annuity from a top-rated insurance company providing a guaranteed income. A charitable gift annuity provides both an immediate and potential future donation to Special Olympics. By investing, you contribute to the improvement of athletes’ lives. Your gift will be used to support their health, fitness and overall well-being of thousands we serve. For more information on how you can build your legacy, please contact Special Olympics Ontario at 1-888-333-5515 ext. 229. A gift of property including real estate, jewellery or art can make a substantial commitment to Special Olympics Ontario while realizing important tax and income benefits. Prior to making a gift of real estate, you will need a professional appraisal completed by a qualified third-party appraiser to determine the property’s fair market value. With the appraisal complete and the property legally transferred, a receipt for income tax purposes will be issued for the appraised value. To make this donation: you can give the property outright, place it in trust, retain the use of it for life or gift it by Will. A Charitable Remainder Trust (CRT) is a life income gift that enables you to give today (with immediate tax savings) while retaining use of the asset. After a prescribed period of time or upon your death, the asset is transferred to one or more charities. In essence, you irrevocably transfer a property (investments, real estate, work of art, etc.) into a trust to be managed by a trustee (a financial institution, yourself, a lawyer or other individuals). You name Special Olympics Ontario as the remainder beneficiary in trust and reserve an interest in the property for life. The remainder interest in the property transfers to Special Olympics Ontario. A trust document names the interest income beneficiary. You then receive a tax receipt based on the net present value of the remainder interest. You can receive income or use of the property during life. The immediate tax deduction available to you depends on the value of the property, your age, beneficiary and other beneficiaries, and the period of time the income interest will exist. The tax receipted value of your remainder trust will provide an income tax receipt in the year of the gift. It may be carried forward for the following five years. An endowment fund is like a charitable investment fund. A donation is permanently invested and the income earned each year is used to support Special Olympics Ontario. Endowments require a minimum total contribution of $50,000 over five years. They may be established to support a specific program or initiative, the purchase of equipment or designated to the organization’s highest pre-determined priority area. As part of your legacy, a named endowment is a deeply personal statement of who you are (or the impact a loved one) and what you believe should be supported long into the future.